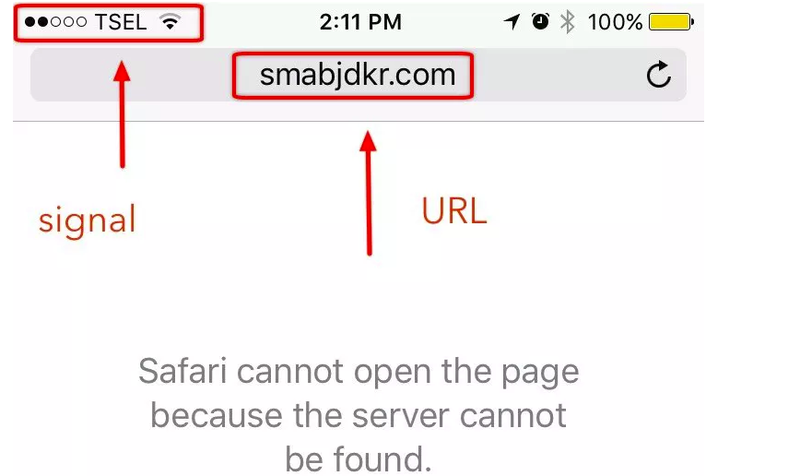 While the problem is a common one and not exclusive to iOS, here are several methods that you can do to solve the problem the next time you receive the annoying "Safari can't open the page because it can't find the server" message. Before you start panicking and blaming the world for your unfortunate life, please make sure that this error is not caused by your ignorance. Check whether your iPhone is not in airplane mode or other conditions where it doesn't have enough signal strength to connect to the internet. Look at the top left corner of the screen and check the signal and connectivity indicator. The second mistake that happens more often that you care to admit is typo. Check the URL field to make sure that you have written the web address correctly. Even one letter mistake is enough to send your web query to the nowhere land. After you have made sure that the error is not caused by some stupid mistakes, it's time to try the second method. Another possible reason why Safari can't find the server is conflicting data from the past browsing sessions. To solve this problem you can try to clear Safari cache and website data. Cached data are temporary internet files that are stored on your iOS device for future use. The purpose is to speed up your browsing experience. If you visit a similar site for the second time, the system won't download the data from the site again but use the local saved or cached data on the device. 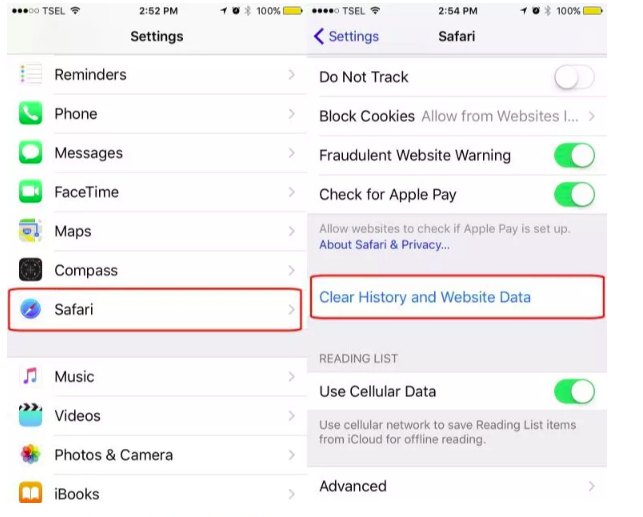 To clear Safari cache, go to Settings - Safari - Clear History and Website Data. Removing this accumulated data might solve the conflict and most of other browser-related issues. Safari will be able to connect to the web page that you want to visit. But the next time you connect to a site, the page load time will take a little bit longer than usual since the system will need to download the data again. Please note that the action will also clear any saved logins or passwords that you stored inside Safari. But if you keep your credentials in iCloud Keychain (or other password managers), the data will be safe and won't be removed in the cleaning process. One more possible culprit of the inability to open the web pages is the path that the device took to connect to the internet. Or in the layman terms, Safari might get lost on the way to visit the page. Every website has an IP address that tells other connected devices its location. Then this IP address is converted into a more "human-friendly" address using Domain Name System (DNS). For example, Google's IP address is actually 216.58.210.206. You could use the IP address in the URL bar, and you'll end up on Google's site. It's possible that there's a temporary glitch in your internet provider's DNS that doesn't translate the website URL into the correct IP address. To solve the problem, you could use the more reliable DNS like Google's DNS or other public DNS. 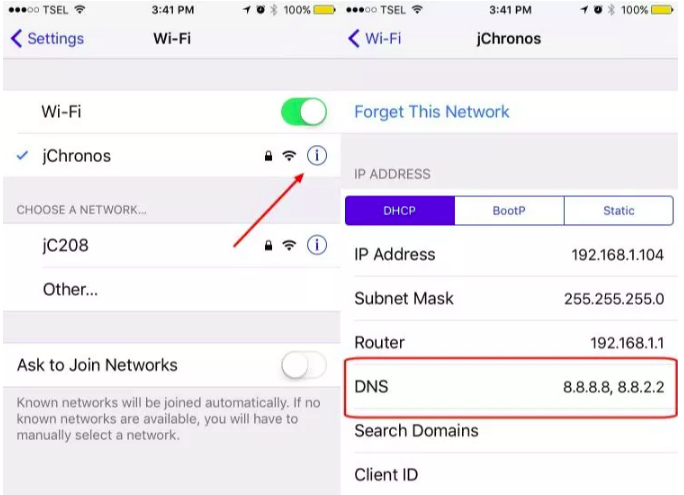 To change DNS on your iPhone, open Settings - WiFi, then tap the blue "i" inside the circle next to the connection that you use to open the Info window. Replace everything in the DNS field with the DNS of your choice. If you want to use Google's Public DNS server, use 8.8.8.8 and 8.8.4.4. You can use the search engine to find other available public DNS that you can use. Another popular DNS option is OpenDNS. This service will also keep the internet safe for children by blocking harmful sites that rerouted through their server. If you are a parent, you could try to use OpenDNS and have a more peaceful mind letting your kids access the internet. 1. Run Tenorshare ReiBoot after installing. 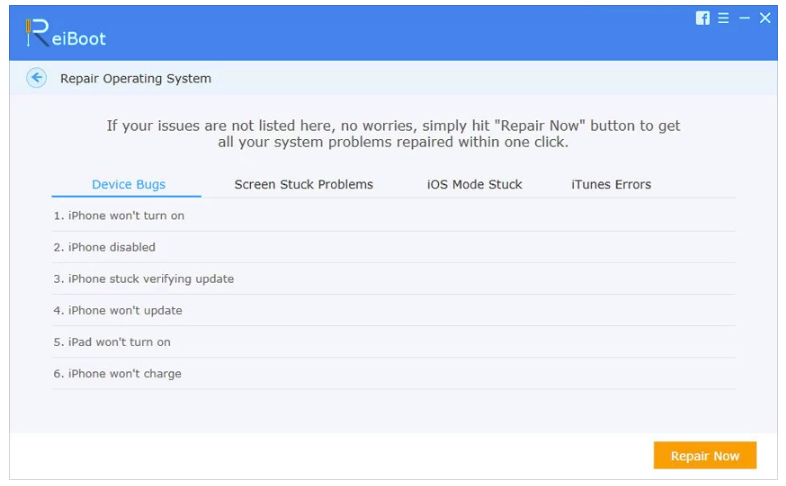 Connect your iOS device to computer and click "Fix All iOS Stuck" section in the main interface. 2. After Tenorshare ReiBoot detect your device, Click "Repair Now" to start downloading the firmware package. At least, one of the four solutions above can fix 'Safari can't open the page because it can't find the server' issue. If you have any other problems about using iPhone, leave a message at the comment place.